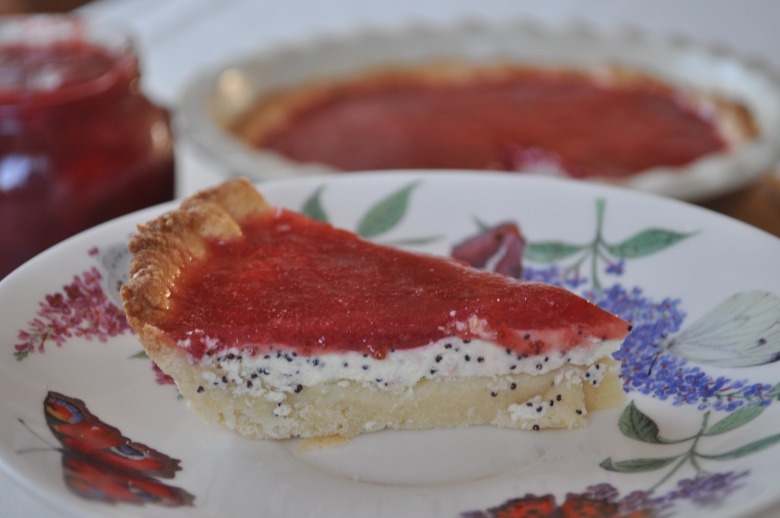 The last days tried to make cheese cakes, but curd was used for vareniki, then somewhere else, but not enough for pie and then came across this recipe in vkontakte.As for me, nice and not expensive. 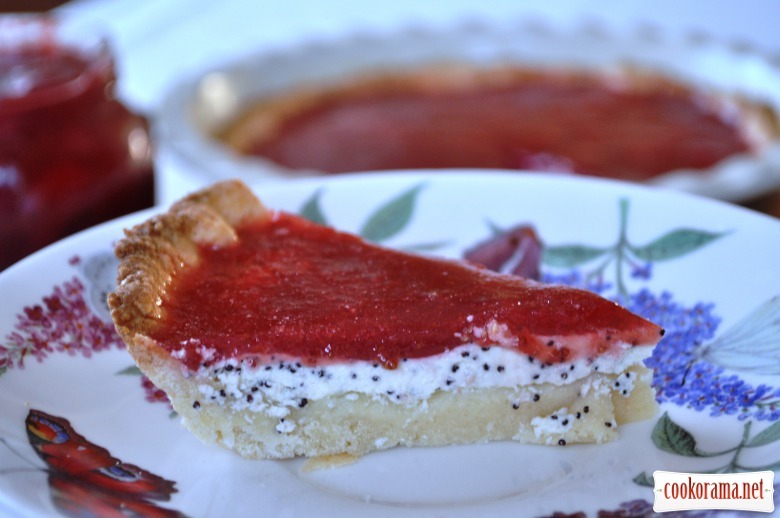 A wonderful option if you want fast cheese cake, with a small amount of curd. 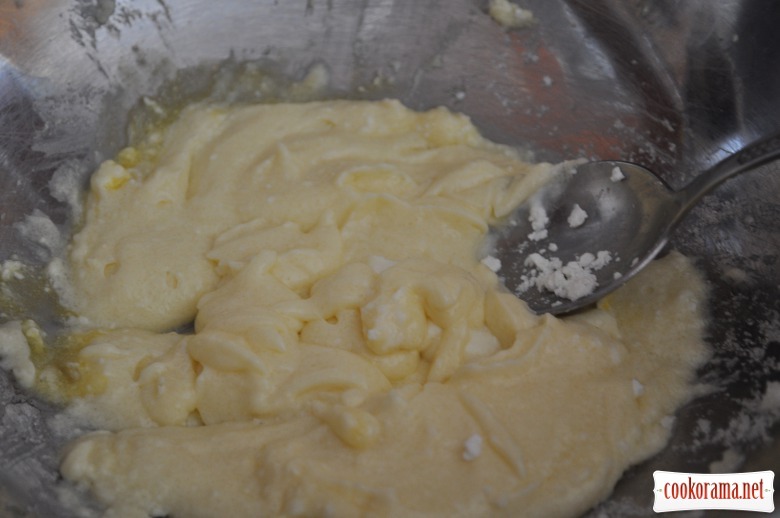 Yolk + butter + sugar + curd, grind well in blender. Add flour with baking powder and knead dough. 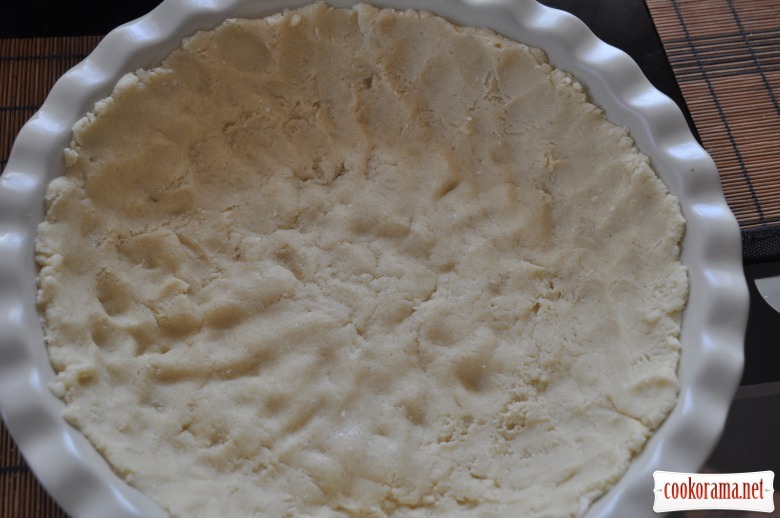 Grease form with butter, spread dough, make small sides. Bake for 10 min at 170℃. 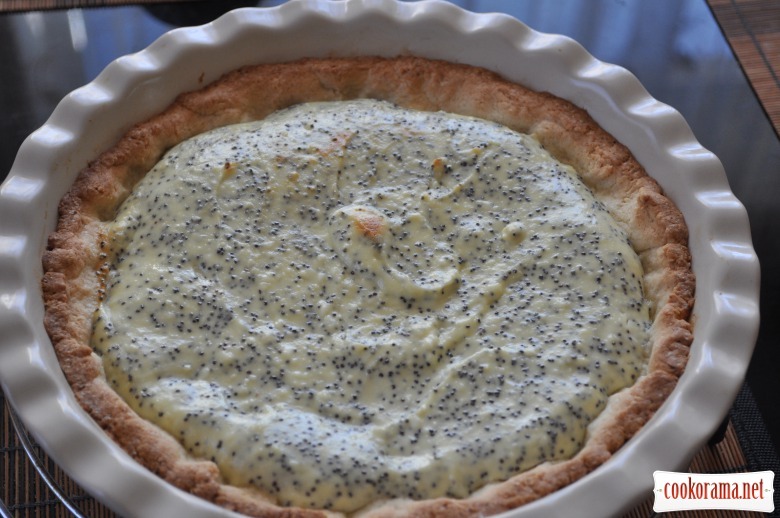 Remove and put curd stuffing (curd, sour cream, egg and sugar, grind in blender well and add spoon of poppy, stir it). Let it cool a bit. Soak gelatin in water for 10 min. Bring jam to boil, add gelatin. Pour pie with this. When it is not hot, put in the fridge till complete cooling. As for me nice and not expensive cheesecake. 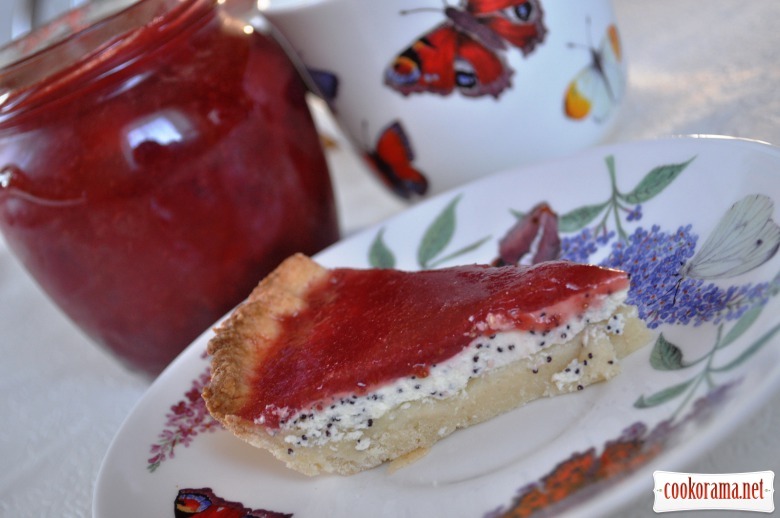 Top of recipe "Cheesecake with jam and poppy seeds"